Bonnie Nielsen is internationally known for her extraordinary punching skills. She has been in the punching business since 1985. Her designs have graced the covers of Stitches Magazine, Eurostitch and Embroidery Business New. To date she has 10 magazine covers to her name. In 2004 she introduced a collection of wall decoration designs, which are for sale in a limited edition of 20 pieces. You can look at these designs and order them under work of art. The following samples in the Punch-Gallery, show the unique qualities that have made her famous in the world of embroidery. Bonnie has also won many awards in recognition for her unique punching style and creativity. 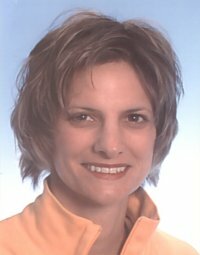 For the past 20 years, Bonnie has been working for companies such as Madeira USA Threads, ZSK USA and CYRK. From 2000 to 2005 she has been working at GiS as a puncher and consultant. Nearly all designs on this web-site are designed and punched by hers.